We are witnessing a coup by the banksters who are trying to set up a globalist, corporatist, technocratic, communitarian dictatorship commonly known as the 'New World Order'. National sovereignty is being destroyed. The EU has put its satraps into Greece and Italy so that these countries are now effectively provinces of the EU. Spain and Portugal are the next targets. How do they do it? Manipulating systems. 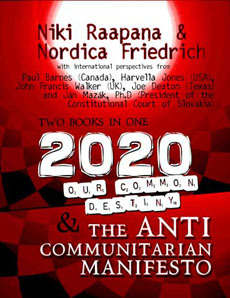 This website is about the corrupt activities of Common Purpose, a fraudulent 'educational charity' acting as a change agent being used to recruit and train the commissars and apparatchiks needed to implement the British government's hidden New World Order communitarian agenda. It cannot be stressed enough that Common Purpose is a criminal organisation that is dependent upon insider dealing, secrecy and corruption for its existence. Common Purpose creates control over its members by doing them 'favours', such as finding them lucrative employment in powerful positions, covering for their mistakes, and benefits from accessing its secret network. In return, Common Purpose requires that its graduates act illegally on its behalf, as salespeople for their snake-oil products, exploiting their positions of power, and helping the organisation grow in power. There are many examples of criminal activity that will be finding their way into the public domain sooner rather than later. Common Purpose is a pox in the soul of Britain. 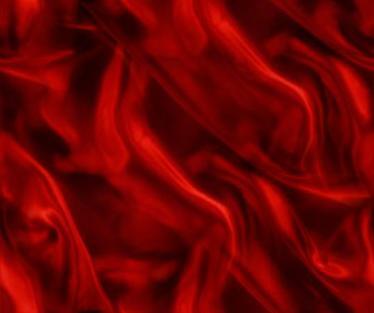 Start here to find out more about how the corrupt activities of Common Purpose affect YOU. NEW: Common Purpose and Media Control. 1. Make sure the global warming fraud goes to plan. More here. 2. Perfect the art of insider dealing. More here. 3. Corrupt public servants - they then do what their friends in the Common Purpose network tell them instead of working for the public good. Make them happy to breach the Seven Principles of Public Life as set out by the Committee on Standards in Public Life and act ultra vires - beyond their powers. More here. 4. Conspire with corrupt public officials to abuse public funds. More here. 5. Silence the media - recruit media editors as Common Purpose members so the corrupt activities of Common Purpose will not be discussed in the mainstream media. 6. Censor your opponents: cpexposed.com, tpuc.org and eutruth.org.uk have all been subjected to censorship by Common Purpose. 7. Abuse due process - take council decisions outside democratic process. Councils such as Sheffield City Council have been cesspits of Common Purpose corruption for years. 8. False pretences - pretend to be an educational charity when your objectives are really political. 9. Evade tax - Common Purpose uses public sector facilities and office space for which it has made no payment nor signed any formal agreements in order to evade tax. 10. Breach data protection laws and ensure that Common Purpose members in the Information Commissioner's Office prevent action from being taken. 11. Undermine the hierarchical management structure of the police and armed forces. 12. Keep schtum - hold meetings according to the Chatham House rules with no agenda or records. 13. Collude with the disgraceful family court system to cover up cases of child abuse and child abduction. 14. Fraud - obtain money for training unlawfully by pretending the courses are of benefit to the taxpayer. 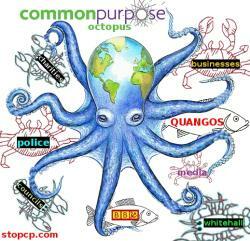 Common Purpose is a fraudulent 'educational charity' acting as a change agent being used to recruit and train the commissars and apparatchiks needed to implement the British government's hidden New World Order communitarian agenda. 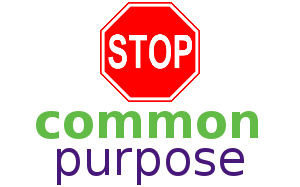 Help stop Common Purpose! Common Purpose hates having people discuss it. Please donate to help keep this website going and spread the message. Database of some CP members supplied by Brian Gerrish 2009-12-09 (.xls spreadsheet file). Why not print a few off and discuss Common Purpose with your friends? Spread the word! Many thanks to supporters of this campaign for spreading the word!